Here at Pear Stairs, we can provide you with a comprehensive selection of balustrade spindles that are ideal for staircase and landing balustrade. Our 900mm spindles are designed for use on stairs, while our landing spindles are 1100mm. 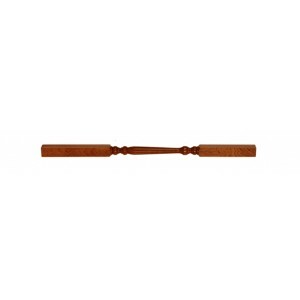 We have a huge range of different spindles in 32mm x 32mm and 35mm x 35mm, and for a more grand appearance, we also have 41mm x 41mm spindles. All our stair spindles are produced in a choice of high-quality softwoods and hardwoods, so you can have the look and feel that suits you. 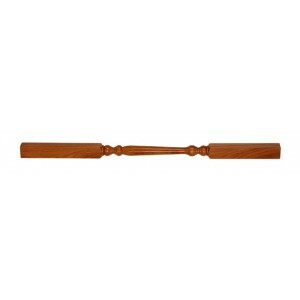 Choose from various styles of staircase spindles, ranging from the spindle designs of square, stop chamfered and stop ovolo, to the more elaborate styles of the fluted Oxford and Georgian, the traditional twist, and the sophisticated Provincial. We have staircase spindles to suit every style.